Follow the footsteps of the apostle who rocked the Roman Empire to its foundations. Paul's radical gospel of grace lit the fire of the faith that would sweep across Europe and beyond. 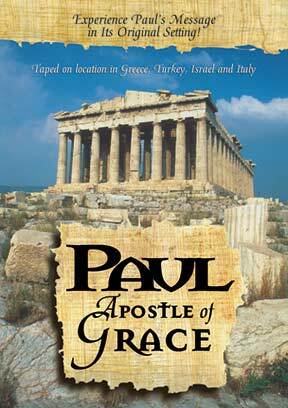 This exploration takes you to the actual places Paul visited, now in modern-day Greece, Turkey, Israel and Italy. Join pastor and teacher Ron Kelly as he guides you in exploring Paul's message of grace in Jesus Christ and the ancient cities of the Roman Empire where it took root. Paul, the Apostle of Grace will inspire and enlighten you. The Bible will come alive when you see what it was like when — and where — the earthshaking events in its pages occurred.